What is the difference between ethics and morality? Ethics refer to rules provided by an external source, Morals refer to an individual’s own principles regarding right and wrong. The Victorian ethics, similar and closely related to Victorian morality, is the subsequent result of the myriad of influences and struggles between Victorian social classes, particularly the rise of the middle class. 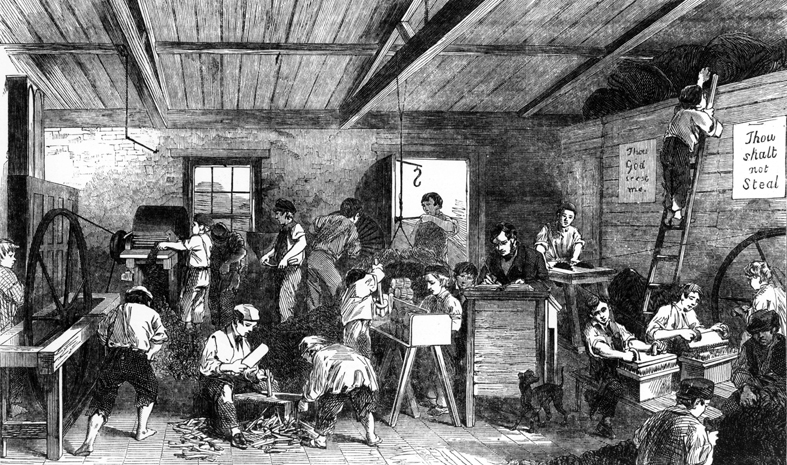 In the beginning of the Victorian Era (1837s – 1901), the English society was already dominated by social stratification, between the upper class – descendants of the nobility – and the lower class – those who do the “dirty” works for a living. Consequently, the inevitable historical emergence of industrialization and its clash against the predominant aristocratic ideology of the people paved the way to the rise of the middle class – doctors, manufacturers, and professors, among many others. This rise challenged the existing social order that led to the birth of the conflicting class-bound Victorian ethics. The upper class was primarily materialist. The nobility focused on their social appearance rather than their spirituality or inner self. Alongside with this, they perceived idleness as a virtue – a divine gift from the heavens bestowed upon the descendants of the elite rulers. They loathe those who worked for a living. As the era approached the early 19th century, England’s shift to the economic mode of production – from feudalism to industrial capitalism – re-distributed the socio-economic power. The middle class, being this historical shift’s beneficiary, grew contempt over the materialist perspective of the upper class and their notion of the divine rights of the nobility. This is inevitably expected since the rise of the middle class is founded on the ideology that a man has to work hard both as contribution and catalysis towards the proliferation of the economic industry. Truly, the Victorian Era has become a plethora of social movements and political changes. Following the materialist conception of history, class struggle and conflict persist as to improve the prevailing and fragmented condition of the society. Traditionally, the Victorian people simply accepted the social class that they were born into. This implies that moving upwards the social ladder is impossible. However, the historical shift from agriculture to industry opened the possibility of social mobility. Higher social status can then be earned as long as people earn the right and qualification needed for the proliferation of the industrial economy. During the nobility’s subsequent financial crisis, the prosperous middle class was able to buy lands and properties that were initially dedicated only to the upper classes. This historical phenomenon has been followed by the emergence and expansion of various disciplines, such as science, psychology, and sociology. Industrialization entails modernism. Three ground-shaking discoveries had further increased the contradictions present during the Victorian era, namely Charles Darwin’s Evolution of species, Sigmund Freud’s Psychoanalysis and Karl Marx’s Communism. These ideas challenged all the pre-existing Victorian values and beliefs as they altogether denounced creationism, ego-centrism, and socio-political hierarchy. Ethics, during the Victorian transitional period of the mode of production, has become an ideological hybrid of feudalism and industrial capitalism.